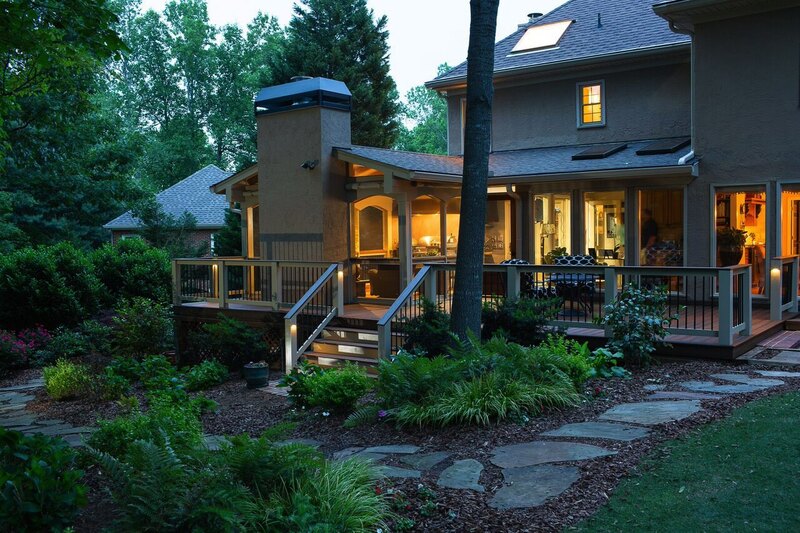 An old deck at this Marietta home was under-utilized due to its awkward “L” shape, abundant size and advanced age. 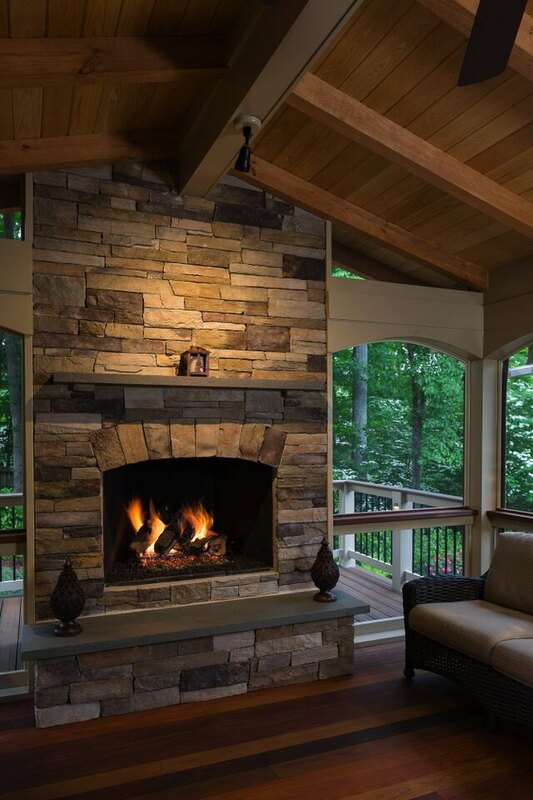 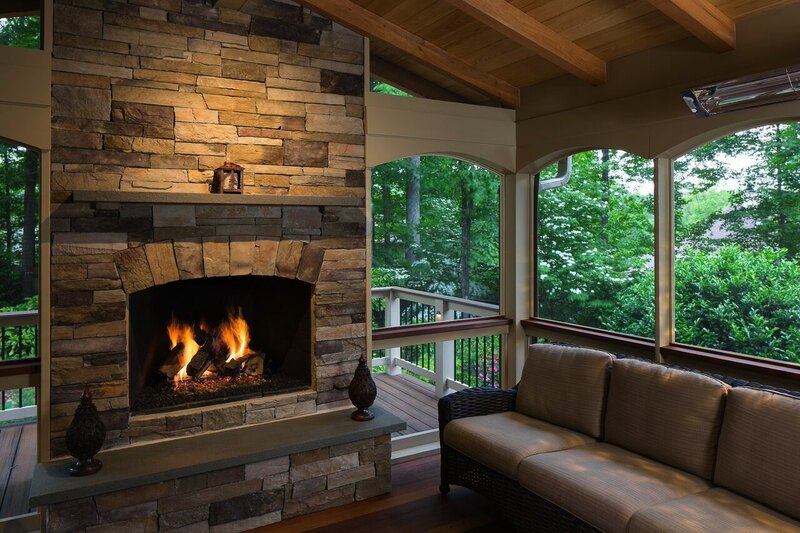 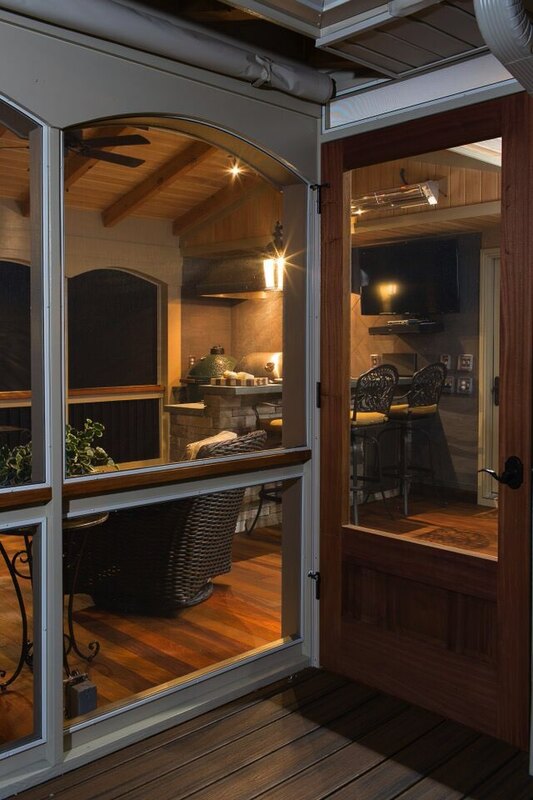 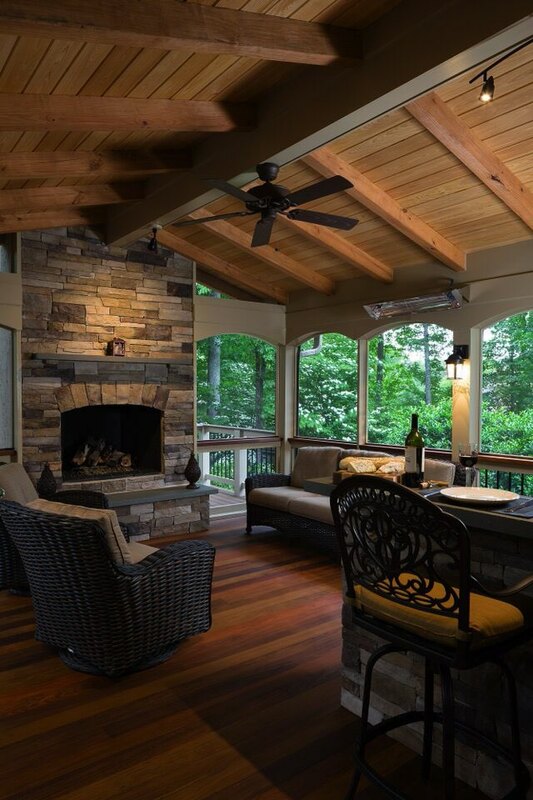 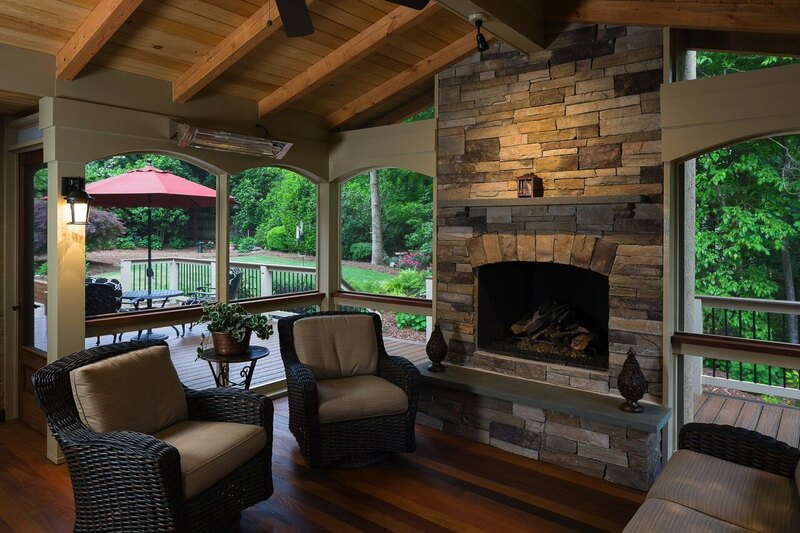 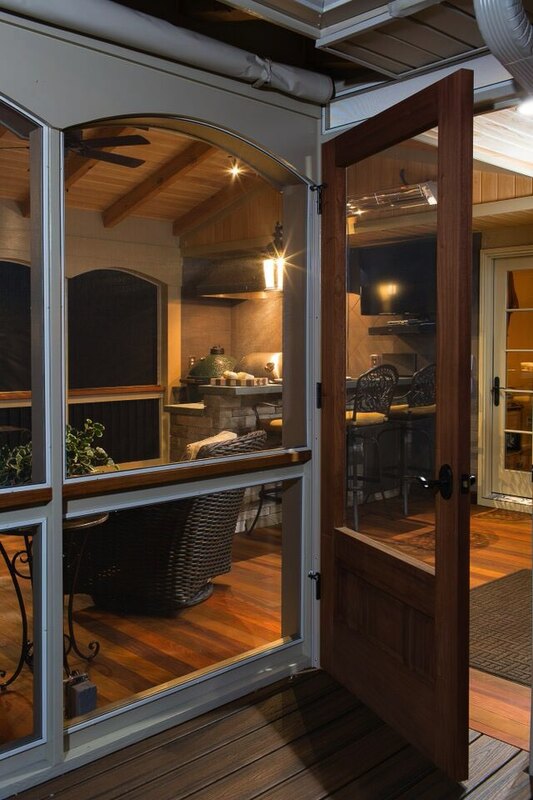 The clients came to us with a vision for their Marietta home: an elegant screened porch with a fireplace, a grilling area and a place to dine. 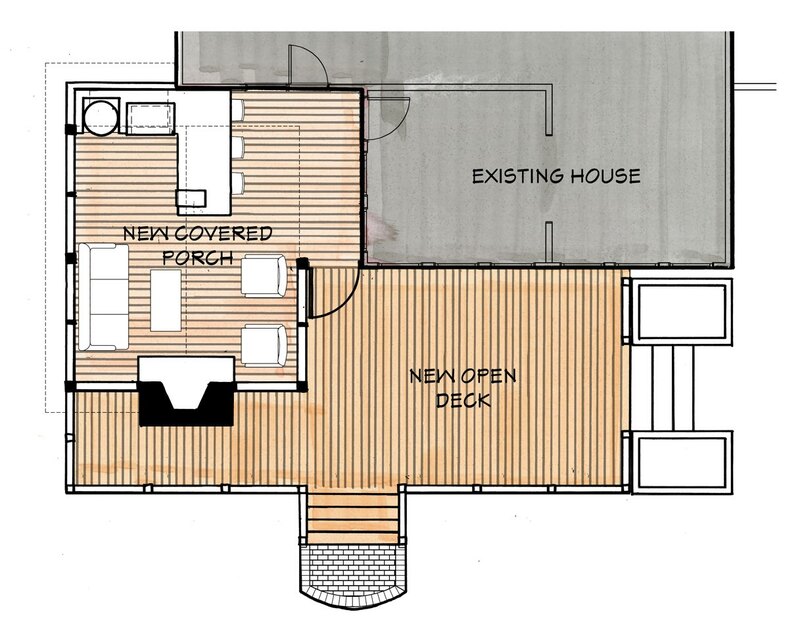 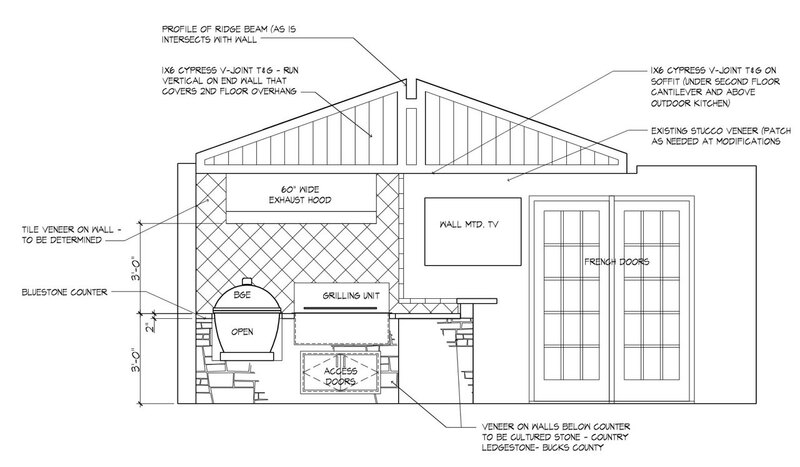 Our design fit seamlessly into the “L” shaped deck space, connecting to the existing sunroom as if it was always part of the home. 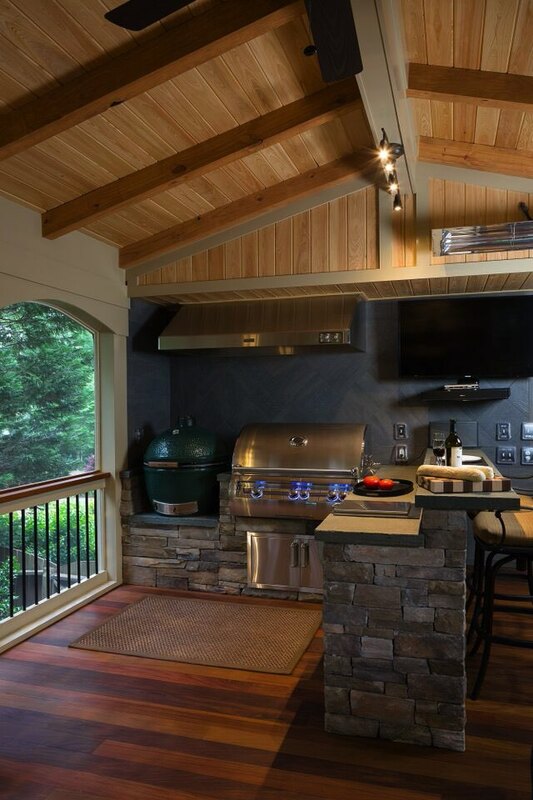 A gas grill (for her) and a Green Egg (for him) round out the perfect spot for Atlanta weekend fun with friends. 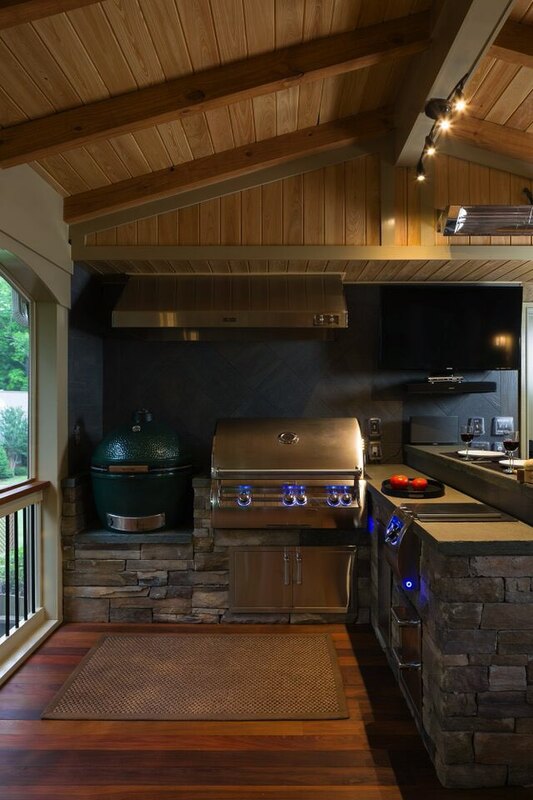 The rustic bluestone countertops complement the interior wood and stone rather nicely.